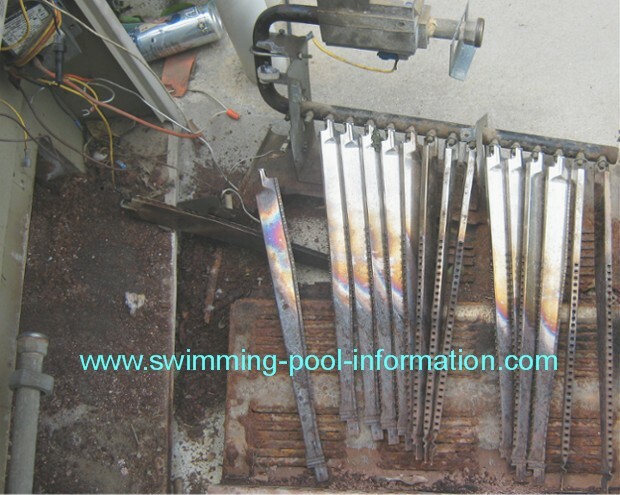 In this section, I will discuss three main types of spa and swimming pool heating : solar, electric heat exchangers, and gas heaters. 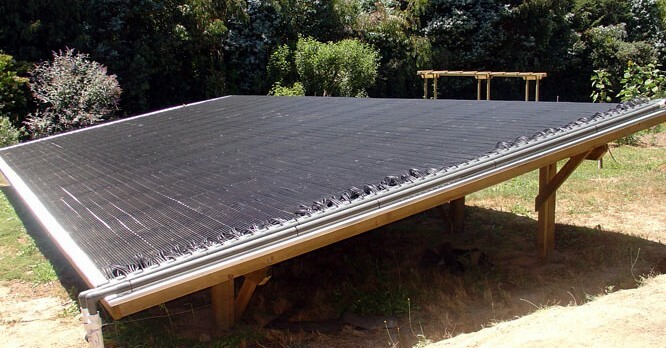 Solar heating panels have changed over the last few years. They are more flexible, and come in a variety of colors that blend in so well to your roof line you could even put them on the roof facing your front yard without distracting from the looks of your property. Electric heat exchangers are generally more efficient than gas heaters depending on your average temperature and kilowatt costs, but have one disadvantage over gas heaters- if you also have a spa on the same system, you may still have to use a gas heater to raise spa temperature in a reasonable time. Gas heaters have also dramatically changed over the last few years as you will see in my photos. 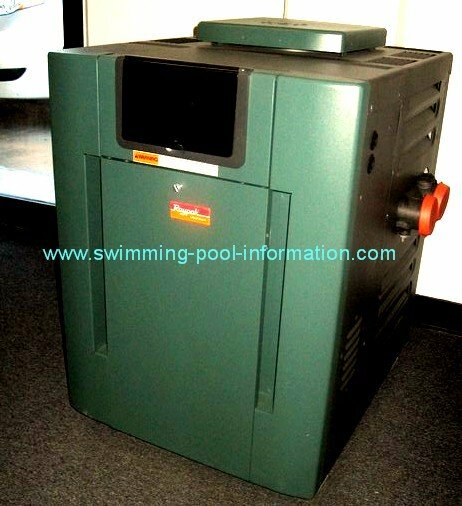 At the bottom of this page is a link to common gas heater problems and easy solutions! Most people keep their swimming pool temperature around 80 to 85 degrees F. An average spa temperature would be 100 to 102 degrees F.